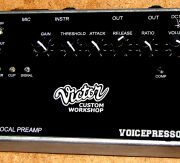 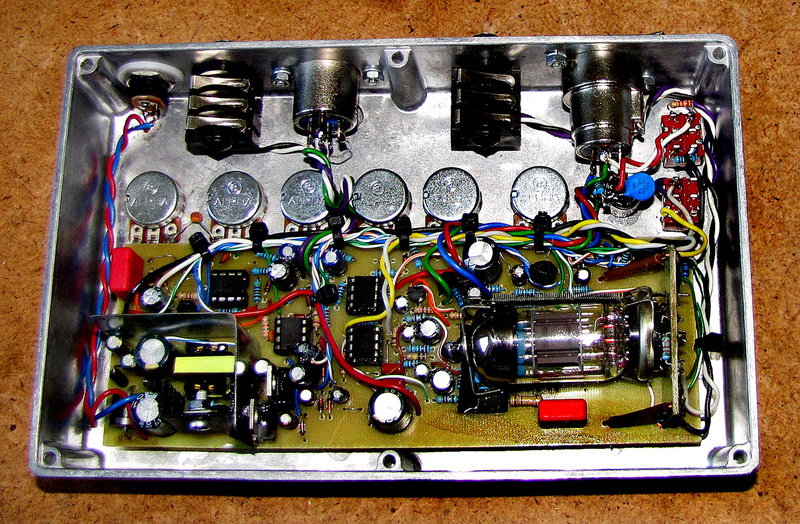 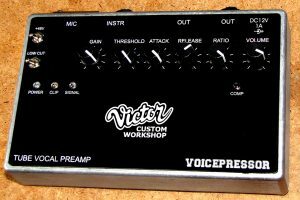 VOICEPRESSOR – this is tube preamp with compressor for microphone and instrument playing / recording. 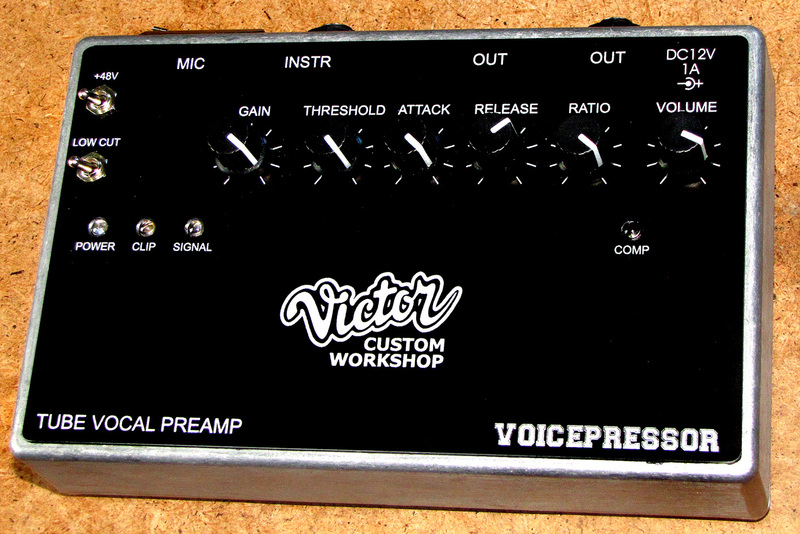 Knobs: Gain (microphone input only), TRESHOLD, ATTACK, RELEASE, RATIO, VOLUME. 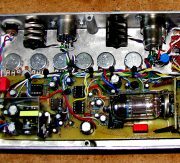 outputs: XLR (simmetrical), TRS (non simmetrical).